It seems like every year, Florida is the scene of another parasailing tragedy. The Florida Legislature has been slow to act, despite organized efforts to bring attention to the issue. It may be time for a different approach: imposing a minimum insurance requirement on operators, thus creating stricter industry standards and making the industry safer overall. 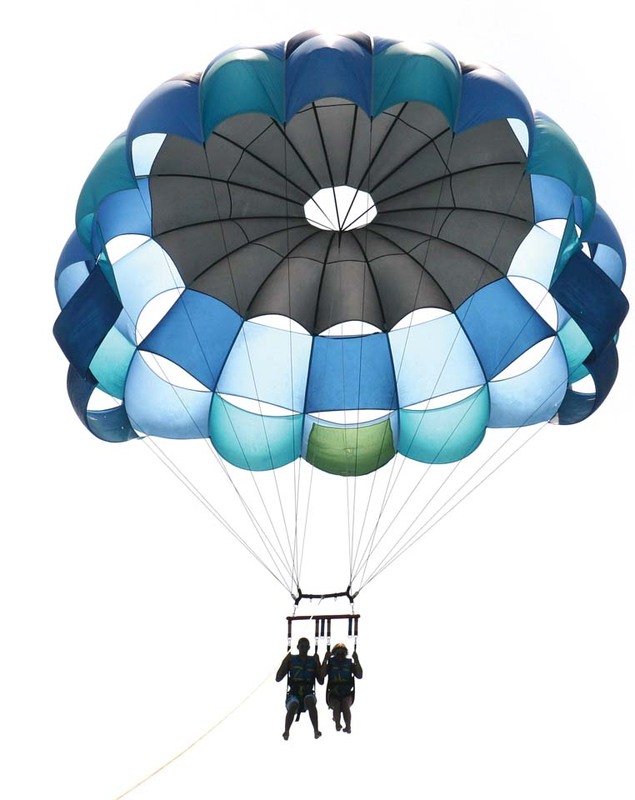 On July 1, 2013, two 17-year-old girls from Indiana were vacationing in Panama City Beach when the line from their parasail snapped in high winds. They slammed into a condominium building and hit a power line before landing on a parked car on the ground. As of late July, the girls, Sidney Renea Good and Alexis Fairchild were recovering slowly from their life-threatening injuries at Bay Medical Center in Panama City. Since 1998, there have been 33 parasailing catastrophes in Florida, with six resulting in fatalities, according to a recent ABC News report. That deadly toll includes 15-year-old Amber White, who died in a heartbreaking 2007 parasailing accident that resulted in severe head trauma to her 17-year-old sister Crystal. For the past five years, a broad coalition of safety advocates and parasailing victims has urged the legislature to take action and regulate the state’s parasailing industry. The goal is to prevent further deaths and injuries through legislation, rather than strive to compensate victims and their families via litigation. Our efforts are supported by the Professional Association of Parasail Operators (PAPO), a responsible trade organization that recognizes the need for safe, reasonable precautions to create a safe experience. State Senator Gwen Margolis (D-Miami) has been leading the effort to enact the “Amber May White Act”, now known as the “White-Miskell Act.” The law would require the owners of vessels engaged in commercial parasailing to carry liability insurance, establish minimum standards for equipment, and prohibit parasailing under unsafe conditions. There would also be criminal penalties for violations of the act. That’s not a heavy burden for responsible parasailing operators to bear. This is particularly so in a state where the largest industry is resort tourism. There is no question that this type of regulation could save lives. An equipment inspection, for example, would have likely revealed the problems with Mrs. Miskell’s harness and prevented her death. Likewise in 2007 when Amber May White and her sister Crystal were parasailing off the same beach that took Mrs. Miskell’s life, such a regulation would likely have prevented the same tragedy. Passage of such minimum standards could also help the parasailing industry repair its badly tarnished image. Presently, no state or federal laws specifically regulate commercial parasailing activities. The only requirements for operating a parasail business in Florida are a U.S. Coast Guard approval of a vessel and possession of a boating license. There is no state or federal agency responsible for verifying that the operator’s parasail, harness and tow lines are in good condition. Without regular inspections, an irresponsible operator can try to save money by using defective or worn-out equipment. In addition, there is no requirement for operators to stop offering rides during high winds, stormy seas or thunderstorms, or other adverse conditions – a step that might have saved the life of Amber May White. However, the Florida Legislature has been reluctant to impose even minimum safety regulations on parasail operators, despite the advocacy efforts of victims and families, as well as groups such as the PAPO. The concept of “regulating” any industry seems like it’s the third rail of Florida politics. Therefore, it may be time to take a different approach to making parasailing a safer activity and reducing the dangers to participants. That could be done through the passage of a single $1 million minimum insurance requirement for parasailing operators, as well as other water sport businesses. Certainly, a $1 million policy would help cover the costs of medical care to a seriously injured victim of a parasailing accident. But even more importantly, it would be necessary for operators to meet certain requirements for operation, equipment and training in order to be insured, and to consider factors such as halting operations during dangerous windy conditions. The private insurance sector can play a major role in helping to reduce Florida’s unconscionable toll of parasailing deaths and accidents, with or without eventual action by the Legislature. Safety advocates can publicize the need for operators to obtain a minimum $1 million insurance policy — and point out which businesses carry that coverage. Resorts can require that any operator who caters to their guests carry the required coverage and are members of PAPO. That information will help Florida residents and visitors make better decisions about parasailing operators ­— and it might help reduce the needless toll of tragedies in our state. Sometimes legislation is more important than litigation.